Girls from the Presentation Convent Primary School, Portarlington who won prizes in the Glor na nGael Christmas Card competition. 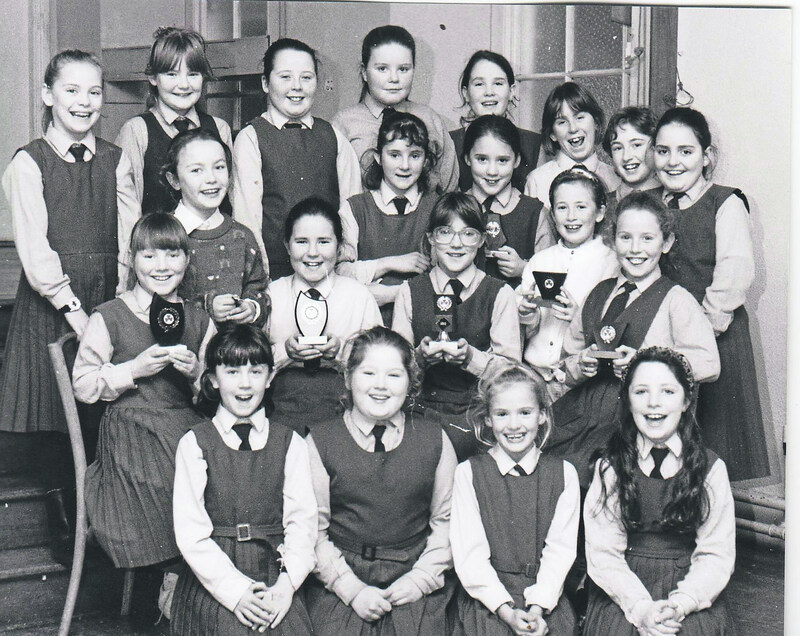 Pictured in January 1991 are - Front: Julie Costello, Glenda Slattery, and Louise Lawlor. 2nd Row: Linda Conroy, Therese Tinkler, Audrey Dobbyn and Carol Keegan.